The lower relative humidity associated with the cold, dry air of winter results in a significant increase in calls related to static problems. 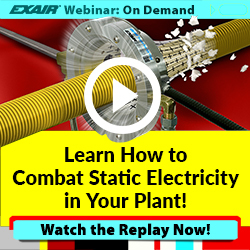 Luckily, EXAIR has a wide-range of Static Eliminators that are designed specifically to address static issues in a variety of industries. Materials such as paper, plastic, or textiles will normally contain an equal number of both positive and negative ions. When subjected to friction, this balance can be disturbed if the atoms gain or lose an electron. This gaining/losing of an electron causes the atom to be electrically imbalanced. The static charge will then exert a force on nearby charged objects or grounded conductors (including personnel). 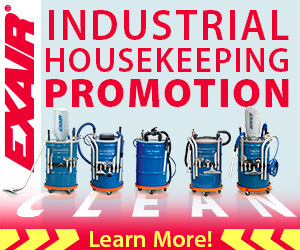 These issues can also manifest in the form of dust clinging to product, product clinging to itself, rollers, machine beds or frames, materials jamming, and sheet feeding problems. Our Gen4 Static Eliminators have undergone independent laboratory tests to certify that they meet the rigorous safety, health, and environmental standards of the USA, European Union and Canada that are required to attain the CE and UL marks. One of these such products is the Gen4 Ion Air Cannon. 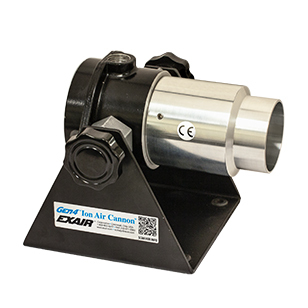 EXAIR’s Gen4 Ion Air Cannon neutralizes static charges at distances up to 15 feet without any moving parts. 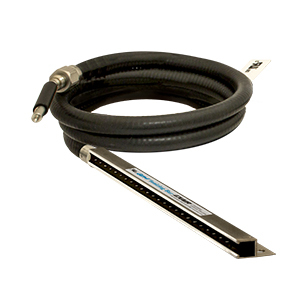 Utilizing EXAIR’s 2” Super Air Amplifier, the Ion Air Cannon will maximize ionized airflow while minimizing compressed air consumption. The strong, concentrated, quiet, and efficient ionized air is capable of eliminating a 5kV charge in as little as .37 seconds. The compact design saves space and allows it to be mounted in confined areas on walls, machine frames, bench tops, etc. The stand is pre-drilled for easy mounting, and incorporates a swivel adjustment to precisely position the airflow. Some examples of applications that have required the assistance of an Ion Air Cannon include: removing static from motorcycle bodies prior to painting, static removal on PCB boards, and disposable diaper manufacturing. With a wide variety of Static Eliminating products available from stock, don’t wait for your static problems to subside when humidity levels come back up in the spring. Get yourself a Gen4 Static Eliminator from EXAIR and make sure you’re able to operate, static-free, for the rest of this winter and in the subsequent seasons to come! The image above shows one step in the process of disposable diaper manufacturing. In this step of the process, the absorbent material is ground through a mill on the top of the “bunker” where it falls down a shaft and onto a mesh screen. Once on the mesh screen, the material is repressed into the proper size and shape for placing into the diapers. 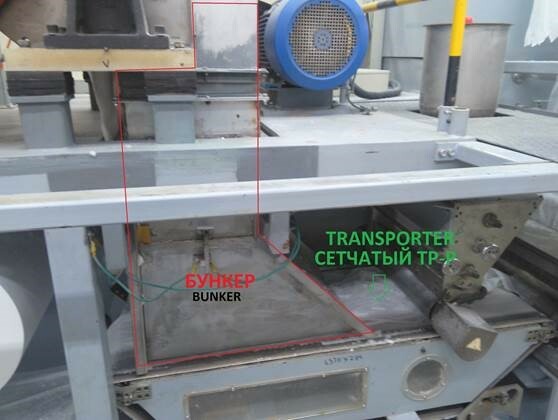 This manufacturer contacted one of our Russian distributors about the application because the milling of the absorbent material was creating static. This static caused the material to adhere to the walls of the bunker chute and to unevenly distribute onto the mesh. This unevenness leads to holes in the pressed/shaped absorbent material which translates to a reject rate of ~1 out of every 20 diapers. The ideal solution in this case needed to eliminate the static within the chute to allow for proper distribution on the mesh below and proper material placement into the diapers. An Ion Bar was originally desired by the customer, but material accumulation on the emitter points was a concern so this solution was removed from consideration. An Ion Air Cannon, however, was able to provide the desired solution by mounting outside of the chute and feeding a low volume of ionized air to remove the static. The ionized airflow from the Ion Air Cannon is strong enough to permeate the full volume of the application, but low enough to not disturb the absorbent material within the process. Using an Ion Air Cannon allowed this manufacturer to eliminate defects and wasted materials, increase their throughput, and improve the quality of their products. Defects dropped from 1/20 diapers to less than 1/1000. If you have a similar application or similar needs, contact an EXAIR Application Engineer.